Hood Canal is a long, narrow fjord, one of the four main basins in the Puget Sound, boasting nearly 213 miles of shoreline and over 16 square miles of tidelands, separating the Kitsap Peninsula from the Olympic Peninsula along its entire length. In the far north corner where it meets Puget Sound waters on the west side of the Peninsula near the town of Hanville, Hood Canal waterfront real estate owners enjoy expansive, breathtaking views of the canal and the craggy Olympic Mountains. An angler’s and a shellfish harvester’s paradise, you’ll have easy access to salmon, steelhead and cutthroat trout fishing, as well as the opportunity to harvest clams, oysters and mussels, if not from your own stretch of beach, just minutes away. Hood Canal waterfront real estate brings a long list of options for relaxation as well as getting active, with not only all types of water sports potentially enjoyed right from your doorstep, but miles and miles of hiking trails in the Olympic National Forest, while the Hansville Greenway offers nearby hiking opportunities just minutes away. Only 5 minutes from Hanville, Point No Point County Park hosts a mile-long trail along the shoreline and a viewing platform for watching birds, seals and the occasional pod of whales. Basic shopping, dining and a full-service bar can be found at the HansGrill Grocery Store & Café, while Kingston offers many more options 10 miles away as well as being home to the Kingston Ferry Terminal for trips to Edmonds and other cities on the east side of the Puget Sound. 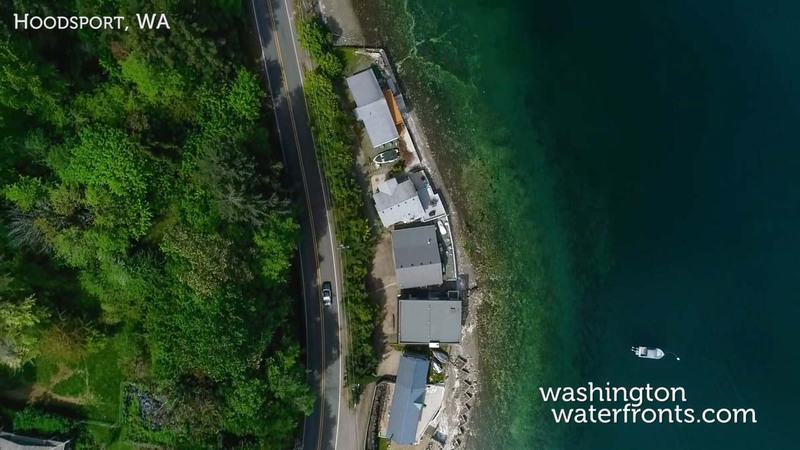 Hood Canal waterfront real estate is ideal for a year-round home or part-time residence enjoyed on weekends and holidays, or anytime you want to escape the city and be immersed in nature and the striking beauty of the Pacific Northwest. Take advantage of our industry-leading tools to make your property search as easy as possible and be sure to register for a FREE account so that you can receive email alerts whenever new Hood Canal Condos real estate for sale hits the market. If you’re seeking to sell your Hood Canal Condos property, contact our Waterfront Specialists directly for a comprehensive listing analysis and to learn more about the cutting-edge marketing strategies we’ll use to sell your home quickly for top dollar!